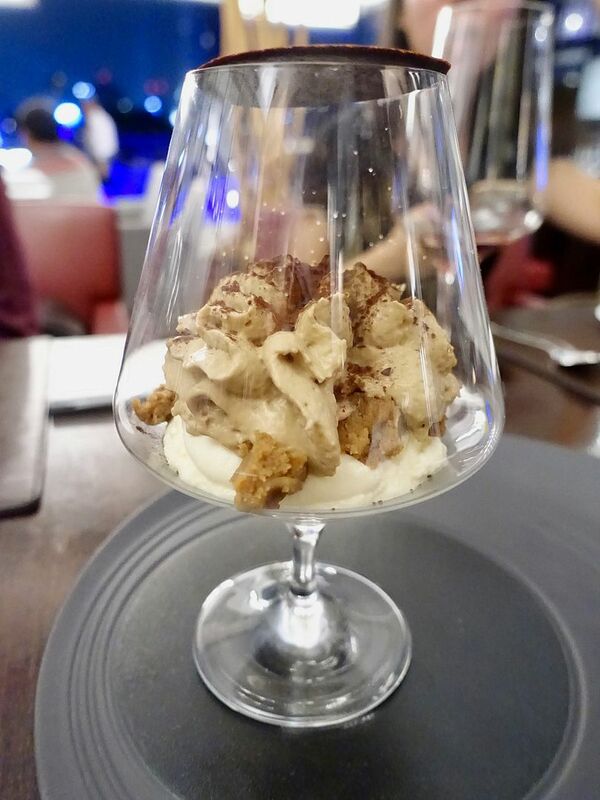 Not sure if i've mentioned this before but il Cielo at Hilton Singapore is one of the hidden gems in Orchard Road, where you to enjoy a delicious Italian meal without having to deal with the crowd. With Chef Yohhei Sasaki helming the team, there's now an interesting Japanese flair to the Italian dishes served here. 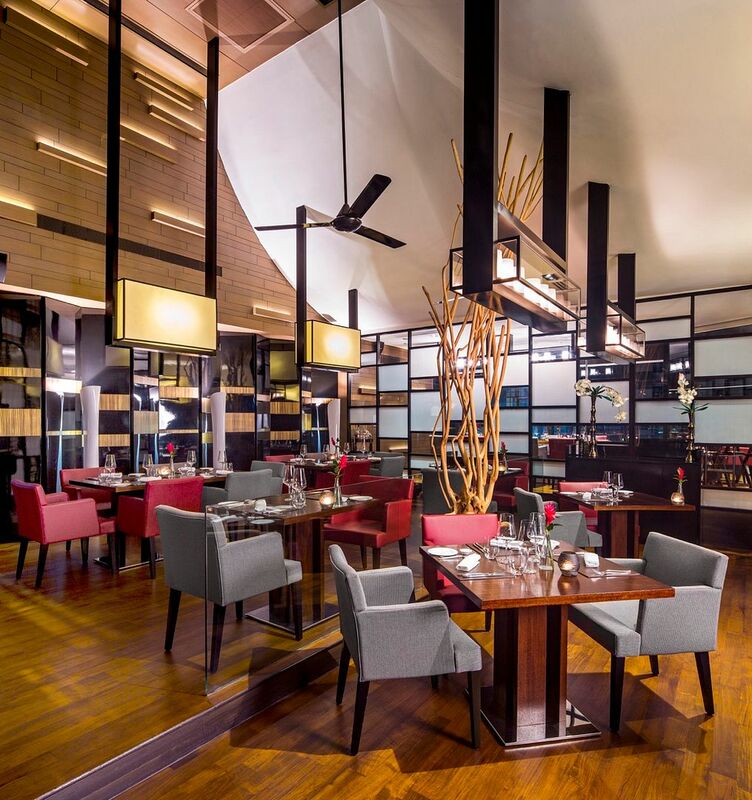 The best way to sample the interesting Japanese Italian signatures is through Chef Sasaki's degustation menus for lunch and dinner. 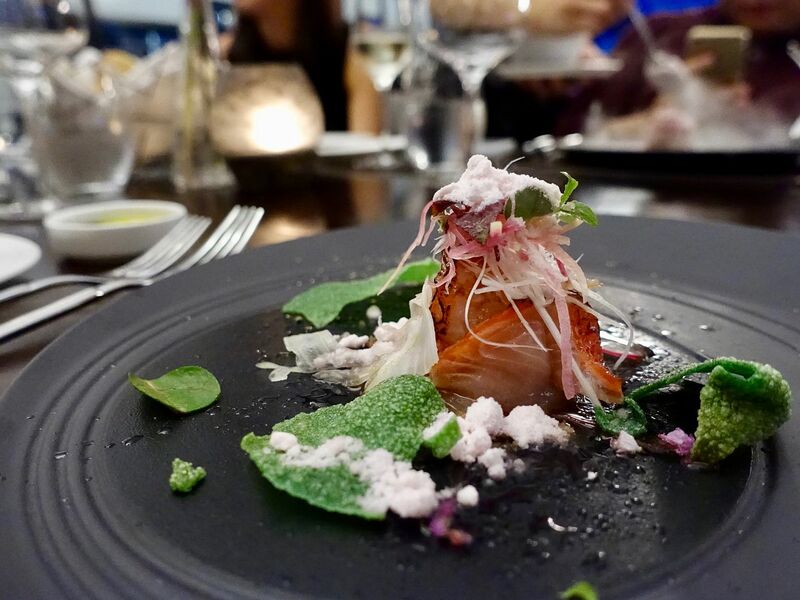 Lunch is a shorter affair with 2 or 3 courses ($25/35) and you can choose between a 5 course Italian ($88) or Japanese ($118) style degustation for dinner. The dishes are also available a la carte. We started with the Kinmedai Carpaccio ($36) served with seaweed tuile, Madeira wine dressing and pink grapefruit snow. Not quite sashimi, yet not quite the regular Italian starter. The seaweed tuile added a nice crunch and umami to this dish and the scattering of the snow provided a theatrical start to the meal. I am in love with the freshly made pastas by Chef Sasaki. Both pasta dishes were the highlights of the night and they are absolutely gorgeous. 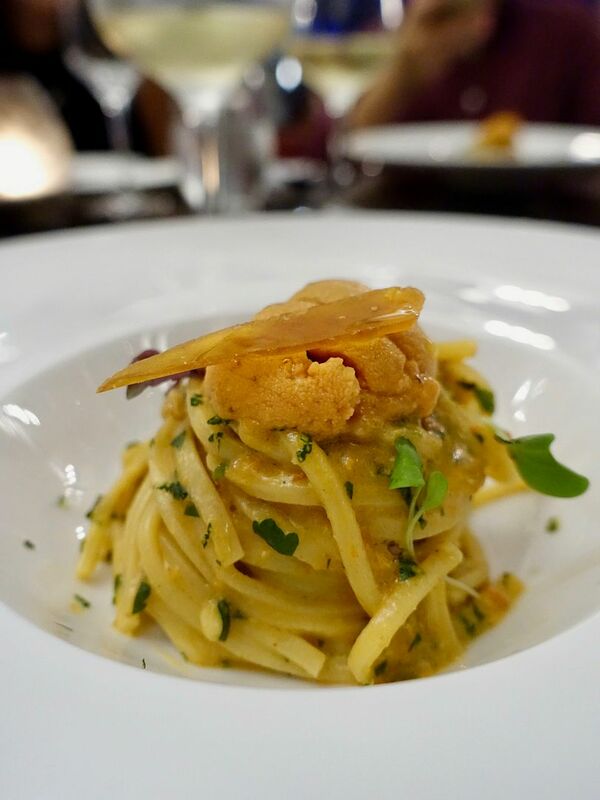 The Spaghetti ai Ricci di Mare ($38) is a Hokkaido sea urchin spaghetti, with Sardinia Bottarga and yuzu juice. The noodles had a lovely eggy crunch to it and the harmony of the sweet uni and the hint of spice from the yuzu pepper was simply glorious. The Capellini Burro e Tomo ($34) picked up all that earthy flavors from the black truffle, porcini crumble and aromatic thyme butter sauce. Maine lobster is also featured in this pasta but honestly the noodles are the highlight. The mains at il Cielo failed to impress us sadly. The Giapponese Orata Grigliata ($38), was a dry piece of Japanese sea bream. 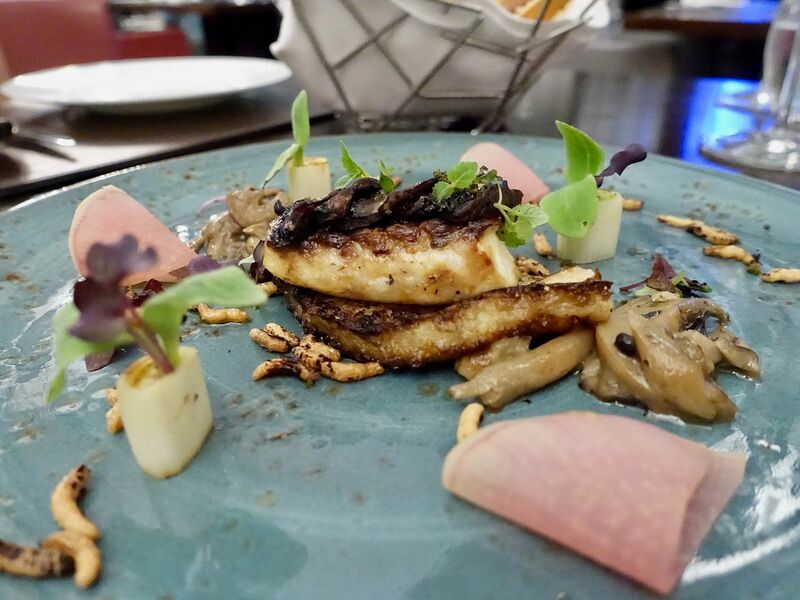 I couldn't focus on the rest of the dish as a result and remembered nothing of the accompaniments of portobello mushroom, sautéed porcini risotto and green tea crumbles. 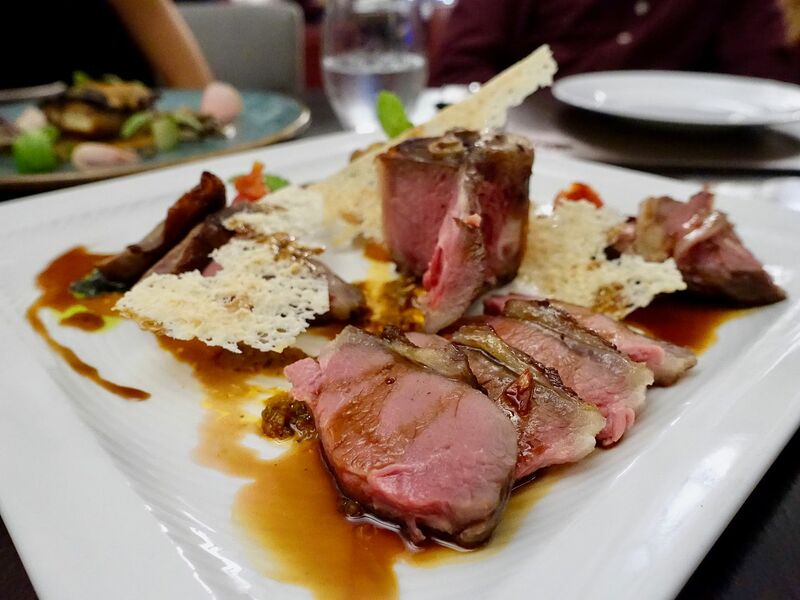 The best meat dish of the night was surprisingly the Bistecca di Agnello ($42), a roasted lamb T-bone, with Sicilian caponata, mint pesto, ricotta tuile and balsamic mint sauce. The meat was perfectly pink and juicy with none of the gamey flavor. 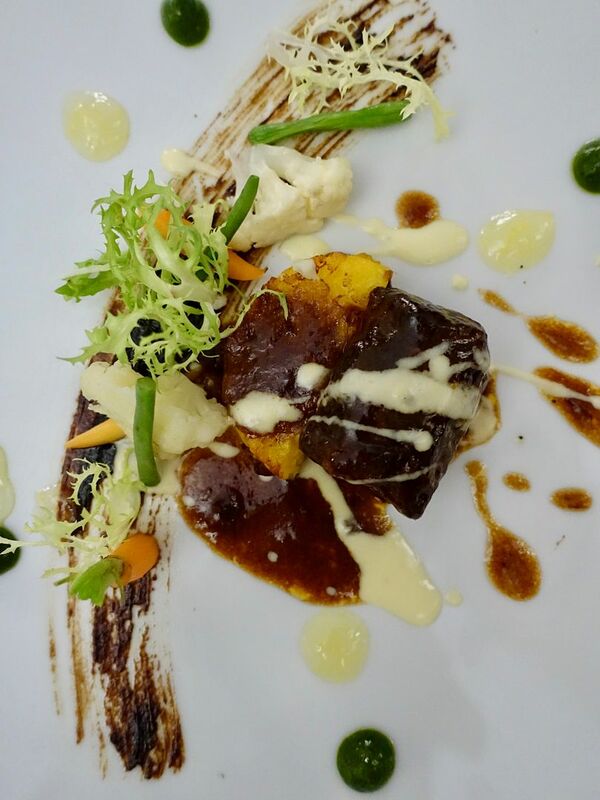 Plus the side of cooked vegetable salad with spiced fruits gave the dish a festive feel. The Costina di Manzo 'Toriyama Wagyu A4 ($46) is a dish I would order if I were to see it on any menu. Who can resist caramelized short ribs with sautéed saffron risotto? Well sadly this was oily and bland, and such a tiny piece too. Well I would want more of the meat if it weren't so meh though. 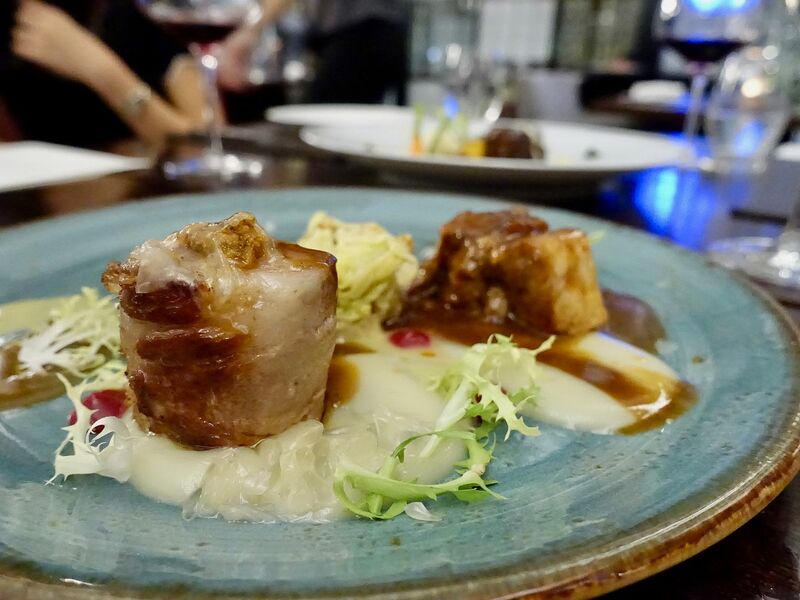 I was equally underwhelmed by the oily and bland Duo Di Maiala ($36).The poor Mangalica pig suffered from the one dimensional seasoning and the oiliness was off-putting. The night was salvaged by the desserts. The Il Nostro Tiramisu ($14) was delightful with the various textures and flavors- the crunch of the chocolate wafer cookie and charcoal meringue, dense and intense espresso soaked ladyfingers, fragrant airy espresso espuma, creamy and smooth Mascarpone cheese & crème fraîche mousse, tart crushed wild berries, and a refreshing strawberry sorbet. So many elements working together for the pleasure of one. For something lighter, the La Sfera ($20) hits the sweet spot. 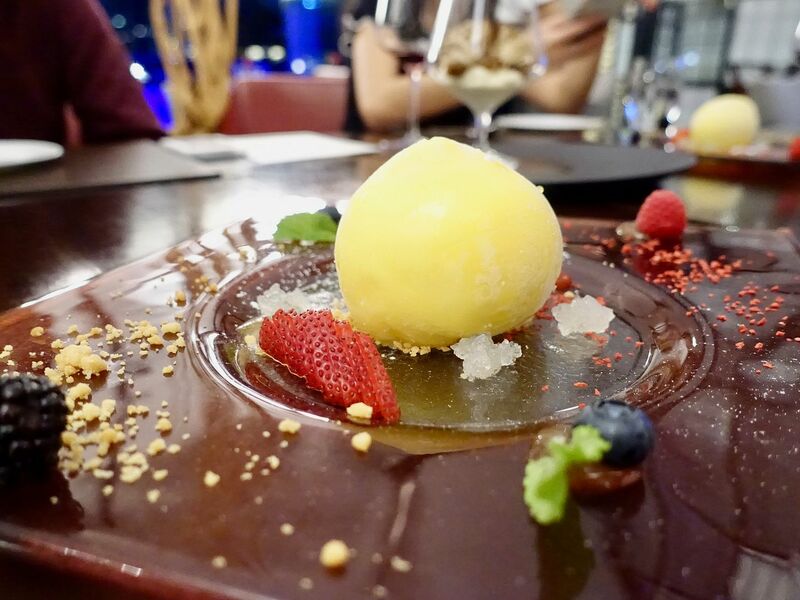 So much effort goes into making this yuzu-lemon sorbet shell is filled with a light ricotta cheese espuma and adorned with an Acadia honey gel. 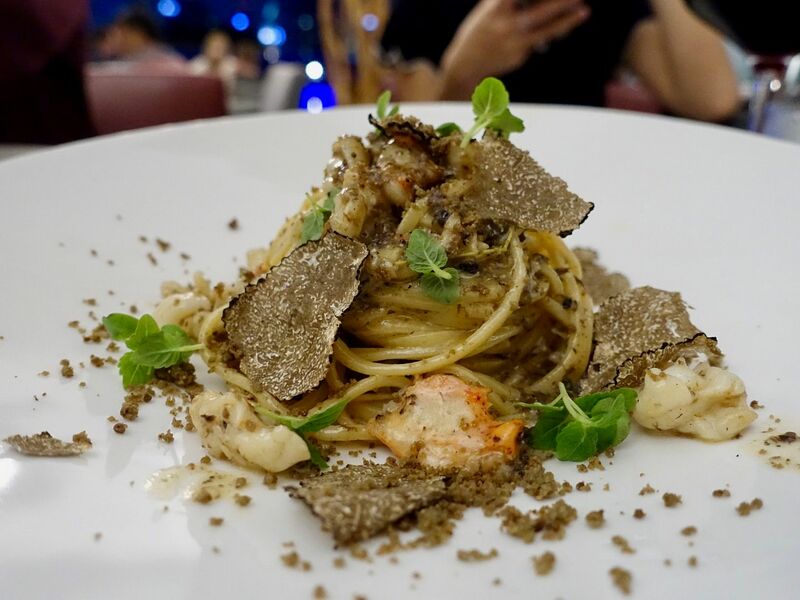 While the mains aren't exciting, you'd be very satisfied with the selection of pastas and desserts at Il Cielo.